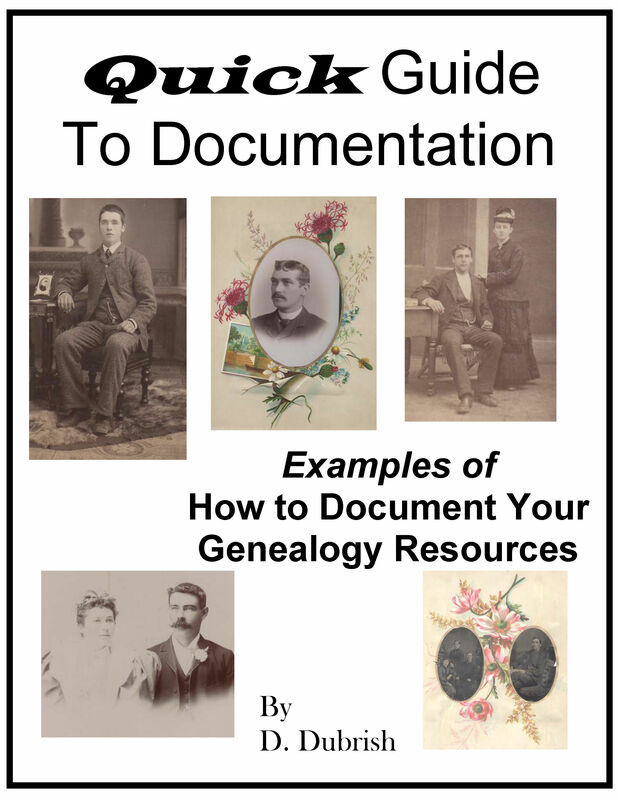 Document your genealogy with references! Family history and genealogy resources are important. Why spend $16.95 on a hard bound book filled with tips and wordy guidelines when all you need is an example to follow! Save this on you computer and print out the pages as you need them. Great interview questions for the elderly to preserve family traditions! Get this for your next family reunion! Yes! Here you will find everything you need from proper citations for all your references to interview questions for Uncle George or Aunt May… and it’s all wrapped together in one convenient product! Whether you are going to a family reunion or going on a safari to the library, just print out a page or two to take it with you! Keep it simple and fun! Price $6.95 Special Only $4.95 in PDF version! This Quick Guide is easy! Just download it into your computer and you’re ready to print out the examples, or forms, as you need them! And… have these wonderful forms at your finger tips! Click here for your PDF version!